Margret got a jug of lemonade mixed with orange juice from the fridge and a few cups on a tray balancing on her over hand as she heard the washing machine beeping. She wonder over to it to check to see it was finished as the garage door swung open and she jumped almost losing everything she was carrying. The door almost knocked her for a sixer but she lent up against the washing machine, "Josh! I told you to knock first. What if I'd been Lydia and hadn't seen the door coming." She sighed as she watched him entering the kitchen and shut the door, "Just be more careful next time alright." She smiled at him as she wasn't really that mad at him and head back though the oddly placed food pantry towards the table. She placed the glasses on the table and the jug as she looked to the young girl, "I brought a cold drink for you dear." She poured Lydia a drink. As she grabbed the girls hand gently and placed the cup in her grip. Josh felt a little bad he really had to look at doing something with that door before someone got knocked over onto the tiles and really hurt themselves. He shrugged letting it slid for now as he bolt the door from the inside. He went over to the stove to see fettuccine pasta cooking in a plot as he stirred it with a wooden spoon. He looked to the side to see a creamy cheese sauce with mushrooms and bacon floating in the simmering pot. He went to the bench were he started cutting up a small salad to put on the side of the plates, with sliced tomato, lettuce leaves, onion sliced, carrot thinly chopped, sliced apple, walnuts and grated cheese. He mixed the salad in a bowl and then placed into the fridge. He placed it beside the fruit platter that his wife had make up since himself and his wife were both diabetics. They try to keep sweets out of the house and deprived Lydia of them as well. Lydia sipped her drink savoring the bubbly goodness that they only had when guest came over. She was waiting the hear the doorbell rang as it was likely Victor would need help to get up to the porch as there was four steps leading up to the front door. She sort of felt bad for him their house wasn't really wheelchair friendly but she help him as best she could. Hayden drove around a little getting as he was trying to find the address of Victors new friend, he was happy for his brother as he didn't often get to go to others houses. It's not that he hasn't had friends, victor often had a few but most the time they would meet outside or in other places as it was easier for him to get there. Hayden didn't want to admit it but he got sidetracked and missed the turn off so now he had to go the long way around. Victor was just looking out the window out side at the passing houses and trees, he was nevouse as he didn't want to stuff this up, he really liked Lydia and would like to have a really good friendship with her, maybe ever more. As he was thinking of her Victor has a smile on his face as he looked out the window, he spotted a street name and then looked around. Hayden had driven to far and missed the turn, Victor had looked up the address on a map "ah, umm Hayden... I think you where meant to turn off back there" Victor said softly as he looked at the back of his brothers head. "Your lost aren't you" Chris's questioning voice came from the back set, he had been keeping Victor company as he was stuck in the back, he also had to make shore that Victor was sitting up right as if he had slipped down in his set it would be hard for him to get himself back up again. "I'm not lost!" Hayden said in a irritated voice, he had hoped that they where to busy talking to notice that he had missed the turn off "I'm just formularising myself with the this suburb" Hayden said defending his actions "We have been told to know the all exists and entry's to where we are going" as Hayden was defending his actions he had found a way into the right street driving slowly he then started to look for the house. "What ever you say" Chris said as he then pulled a face to Victor to let him know that he knew that Hayden was just covering for his stuff up. "Oh I think that is the house" Chris said as he pointed to one of the houses coming up. Hayden slowed down and turned into the drive way safely as he then turned the car off and looked back as his brothers in the back set, he was still frustrated from missing the turn and then being questioned about it he decided to wait in the car wile Chris took Victor up to Lydia's house. Chris jumped out the car, happy that his brother had a girl that he seemed to like, he had seen Victors giddy look and smile and knew he was in love with his one. Chris walked to the back of the car and got the wheelchair out of the boot, he unfolded it and then wheeled it to the side that Victor was opening the door and helping his brother get out of the car and into his set "are you excited" Chris asked as he walked him to the door. Lydia face light up with a smile as she heard the door bell go off it made the sounds tweaking song birds. It was a pleasant sound she placed her glass down in a rush as she pushed her chair back wanting to go answer the door. She assumed it would be Victor as she walked towards the door she placed her hand along the wooden frame of the door that lead out of the dinner room into a open area that had the large wooden front door to one side and a staircase to the upstairs behind her. She run her hands long the wood getting her bearings she didn't want to make a epic fool of herself in front of her newly found friend. She reached out for the door handle hoping it was him, otherwise she'd be faced with some other strange she couldn't see. Margent rushed to the door as well as she saw her foster child heading that way, She grabbed Lydia's hand pulling her back slightly as she was very over protected of the young girl, "Lydia don't rush off like that, you could fell and hurt yourself in your haste sweetie." She kept a tight grab on the girls hand even though Lydia was against it trying to free herself as it was so embarrassing. Her foster mother opened the door swing it inwards as she looked out at Victor and Chris, "You have to friends Lydia how nice." She said with a smile towards them. Lydia dropped her face down as her long hazelnut hair covered apart of her face and light blue eyes as she blushed out of pure embarrassment. She wondered who was with Victor, "Hi.." She said softly, trying to forget how much her foster parents where crushing this moment for her. Josh was in the dinner room setting out plate, he set the table for four as he wasn't aware of Chris being at the door. Josh popped his head though the dinner room door to see the boys waiting outside. When he saw the boy in the wheelchair he took a sigh of relief assuming that was 'Victor' and his little girl wasn't playing out of her league. He saw the face Lydia had when she talked about the boy, he could tell she had a crush on his boy and Josh didn't want his little girl to get hurt or used, by someone that might take advantage of her due to her disability, "Hi boys, would you like to come in?" he said to them as he held his hand out to shake Chris hand. Lydia got out of her foster mothers safety death grip finely to step forward slightly trying to map out where everyone was standing by their voice as not to bump into anyone. She lent her hand on the door frame as her eyes where staring past the boys as she couldn't see them, "How are you Victor?" She was standing so close to him that he could touch her but she wasn't a where of that, "Umm.. Who did you bring with you?" She asked, which she only know because her parents had suggested someone else had come with Victor. She wondered if it was Alex's that guy she'd meet at the fair with Victor, the guy that had pretty much run her over when she'd tripped and landed on Victor on their first meeting. Margent stepped outside being care not the knock poor Lydia as she moved to stand behind Victors wheelchair placing her hand on the handle, "Let me give you a hand dear into the house." She smiled down at him, she was clearly babying him as she did with her own daughter, "Which one of you is Victor, deary?" She lent down to ask him as she slightly wheeled him forward though the door way, "My little sweetie was talking on about that boy non stop since... Where did she meet him?" She wasn't a where Lydia had sneaked out of the house to go to a fair and night, and know nothing of her flower stall. "Mum?!" Lydia said in horror a lot louder then she had been speaking before. She was starting to think this gathering was a mistake. Her foster parents where going to scare off Victor at this rate. She gasp when she realised Victor might out her by mistake that she was at the fair grounds, what was she going to do. She hadn't thought this though. She was as pale as ghost as she bit her lip slightly behind the locks of her long hair. Hayden was watching in the car and could see that Chris was making a mess of things so he had gotten out of the car and was walking up being Chris when he started to ramble "what my idiot brother was trying to say was Our father wanted us to hand you our numbers in case something ever came up and you needed us to pick Lydia up for any reason" Hayden said respectfully to Margaret and Josh "Sir, Mam, we would love to stay and get to meet you all but we have some stuff to get ready for a birthday party.. it was a pleaser to meet you all" Hayden said as he then grabbed Chris's arm walked him back to the car. Victor sat there awkwardly and shyly as he hadn't got to say anything before that all went down, Margaret had started to wheel him in so his back was to Hayden and Chris when that happened. Victor then turned to look at Lydia "I'm good, how are you?" Victor said as he smiled at her, then he thought of how stupid that was as she wouldn't be able to see his smile "You look very pretty today... I mean you look pretty every day...uh" Victor seemed to lose confidence half way threw his sentence as he then looked like he was blushing a little. Victor turned his attention to Margaret as she had said something to him before and he didn't want to seem rude "I'm Victor... it's nice to meet you Mam" Victor was thankful for the help as he couldn't often wheel himself far with out getting very tired and it would be easy for her to help him as he was so light. "I'm sorry for my brothers, they both mean well but they can be a bit much some times" he said as he turned his head to look at Josh as he then looked at the paper with Chris and Hayden's names and numbers and Chris's writing saying the handsome one next to his name and the grumpy one next to Hayden's name. Oh god, how was he going to do this! They most probably hated him already. Josh shock Chris hand firmly rising an eye brow as the boy uttered he was the nice brother, "Silly me I forgot to tell you are names," he chuckled a little bit as he took the slip of paper out of the boys hand and rubbed the back of his head feeling a little foolish, "I am Josh, and this is my lovely wife Margent, and your meet are little angel Lydia." he said that as if butter wouldn't melt in the young girl mouth, as they clearly weren't a where of her little trip to the fair or whatever other things she did when trying to get a little bit of freedom. Margent turned her head smiling to the boys, "That's very nice of your father boys, do thank him for us. It very kind indeed." She gently patted Hayden on the shoulder, "Thats nice boys, enjoy your party, playing the old classic's pass the parcel and pin the tail on the donkey?" She said as if she saw then as little kiddys, disregarding their age, she had a habit of baby the young ones. Lydia stepped inside as she heard her mother move past her wheeling Victors inside. She turned to where she thought he now was as she giggle, "Its ok Victor, I'll take your word on it," She sweetie smiled at him as she brushed her brown locks behind her ears showing off her milky light blue eyes, they had the white in them showing off the fact she couldn't see him or anything for that matter. She reached out her hand as if trying to see if she was facing him at least but she missed her target like a fool, "Its not like I have seen what I look like today, I could look like a dog breakfast and you'd still be flattering me." She said with a joking tone in her voice. Josh dash off to the kitchen to stir the spaghetti and sauce that had chucks of tomato in it. He let it simmer for a moment and then turned off the heat. He scooped out long stingy pasta on the plates, he dish everyone plate with a lot and then scooped the chucky sauce on top, giving Victor an extra helping of thick sauce as the boy had looked so frail and need some meat on him. Margent pushed Victor into the dinner room as she pulled back one of the chairs so that she could push his wheel chair in place as she watched her husband place a plate down in front of the boy, and then he went and brought the rest of the meals though as well and took his place at the table across from Victor. She lent over the boy grabbing a glass and poured him a cold drink of lemande mixed with OJ, "Comfortable dear?" She said to Victor in a motherly tone as she grabbed a cloth napkin and tucked it into his into his shirt, "Do you need help Victor?" She said to him kindly. Lydia maked her way into the kitchen feeling her away across the room she touched Victor chair by mistake brushing again his arm, "Is that where you run off to." She smiled, she know he could walk well no the less run but she just meant it light hearted lightly as she make her way to her chair beside him she sat down and she felt her foster mother tucking a napkin into her top as well. Then her mother returned to try and feed Victor. Hayden nodded to Margaret's request to say thank you to there father as he smiled and then waved as they walked to the car and drove off, Victor has his phone on him and would be able to contact them when he was finished or even if Lydia's kind perents where going to take him back home. "I don't think they are going to give him back" Chris said as he had noticed how Lydia's mother was acting and he laughed "we may have to go rescue him at some point" he looked at his brother next to him in the car as he watched the house go out of view. "I don't think you could ever look that bad even if you tried to" Victor said almost with out thinking as he was shore even on her bad days she would look just as lovely as she did now. As he stopped to think about what he had just said he then felt inbarassed that he has just blurreted that out without thinking. He was nurveas so was just saying anything that had came to mind. Victor moved his and as Lydia had reached for him as she hand missed back he moved his hand to meet hers so it would cover it a little as a slight hand hold, so she wouldn't feel so bad about it. Victor watched as josh ran off to tend to there lunch as he was wheeled to the table, he then looked at the large amount of food that was placed before him, there was pretty much no way that he would have been able to eat that amount even if he was there for hours, but he would try the best he could. They both seemed very excited to have some one come over to see Lydia he started to think that she must not have meany people over but he couldn't see why, she was such a lovely girl and so friendly to. "Yes I fine, thank you Margaret , I mean Mam" Victor said to answer her questions about if he was comfortable, he moved his hand to cup the grass of drink that was just poored for him as he then took a sip, it was nice and sweet. Lydia turned towards him knowing which side he was on now since she was aware that he was sitting beside her. She felt her foster mother push her chair in closer to the table, they did their best to place everything in the same place so that she was able to remember the placing of the plate, fork and knife so on. She took in the smell of the food as Victor was talking about it, “I don’t need to see it to see it in my mind, I can make up an image with the way it smells and tastes.” She said as she felt for her fork and then twirled it around the spaghetti, “Your brothers are planning a party? What sort of party?” She asked as she’d over hear them talking about it before. Margent stand down on the other side of the table across from Lydia as she kept a watchful eye on her, “You’re not planning the party with your two brothers?” She looked to Vic, as she took a slip of her lemonade and orange juice, the prefect bubbly mixes. Josh twirled his fork in the pasta taking a large amount onto his fork and scoffing it down, it was his home made recipe made for scratch. After finishing his mouthful he looked to Victor, “Eat up my boy, looks like your brothers aren’t letting you get enough food at dinner and eating it all for themselves.” He said with a little humor, but was still deeply concerned for Victors welling being, “Is that your typical teenager party, alcohol and really loud music?” he gave Vic a look as if he was going to drag his little girl into the wrong crowd of hoons, but he was just looking out for Lydia’s well-being. Lydia took a scoop of her food to her mouth and savoured the taste, “Your best blend yet,” She said with a sweet smile and then faced Victor for a moment even though her eyes were probably a little off to the side, “You into those sort of parties?” She was just asking not judging in anyway if he was. She’d never had alcohol herself and wasn’t invited to may parties due to her short list of friends. Shore she knows a load of people, and she was super friendly but no one really got involved in her life, she was just the poor blind girl everyone felt like they needed to be kind to and then make her someone else problem. Though she did hope she wasn’t a big issue to anyone, she could take care of herself. Her foster present just didn’t see it that way. Victor let out a laugh as Josh said that it looked like his brothers where stealing all the food from him at dinners for themselves "not At all, Hayden would sit there and force feed me if he could, there is now a rule that others have to be present when we eat" Victor said in a joking manner, Hayden would do that is he could and keeps a very close eye on his meals making shore he has enough nutrients. Victor was chewing another mouth full then he was asked if it was another tipical teenager party he didn't think Chris getting lazy and using his power to walk threw walls to the bathroom was a normal thing, Hayden would insist they pay darts or a game that used amiming and pretty much win because that was his talent, jack would bend him self in all wired and wondiful ways and Luke would try to hit on people and joke around, ember would sneeze or something and nock everything over at one point and garnet well, she would almost be normal. Victor thought for a little then smiled "well the music isn't always loud, unless someone really like the song and cranks it up a bit but it pretty much gets turned down almost right away" they don't want to have noise complaints the less people pocking there heads in the better as more people means more opatunitys that some one will see something wired "my brothers and I don't drink, they are colourful and quwerky enough with out it" he said as he laughed a little and then smiled. Lydia’s face light it up as he said it was a dress up party, “Wow that sounds like a lot of fun.” She played around with her food as she was to detracted by him being her to eat, “What are you going to dress up as Victor? A hero or a villain?” She sorter wished she could go to his brother’s party but she only had three costumes in her cupboard up stairs which she wasn’t shore really fell under the theme of super heroes and villains. She had costume of the character Toph Beifong from the cartoon avatar the last air bender. She couldn’t see the show but she had DVDs for the blind in paired that explained the story as it unfolds along with the voice acting. 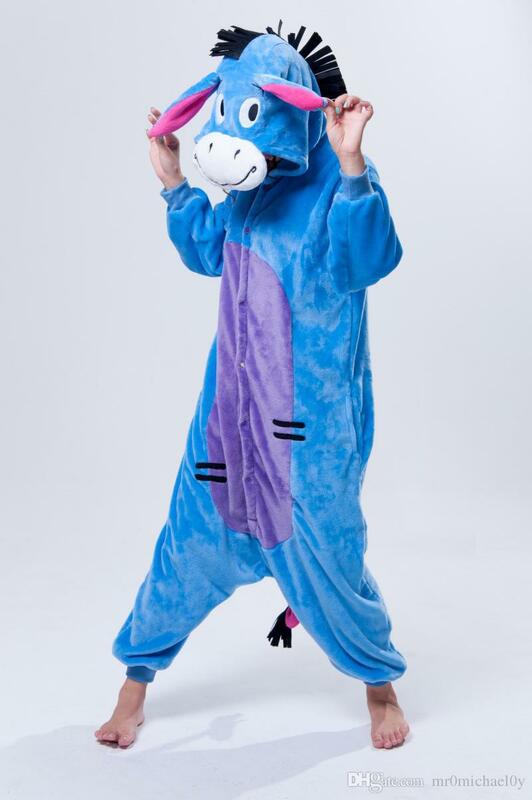 She also had a cute kiddy animal costume her foster mother Ms Lockheart had gotten for her, it was a onezy of Eeyore from the little kids show Winnie the Pooh. 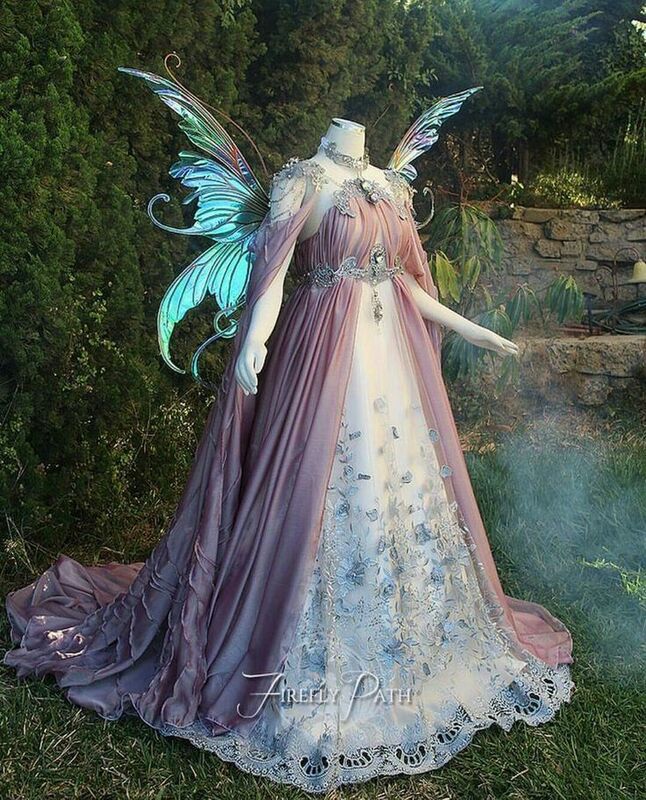 She also had a fairy costume with a long dress beautiful dress and wings that were shades of purple mixed with blues. “Do you enjoy dressing up and being someone else for a night?” She said that with an odd tone in her voice as if she knows something about what that was like, “When’s the party?” She wasn’t aware Luke and Trigg’s joined birthday party was in fact tonight when asking that. Margent sat their listening to them as she ate her meal, “Which of your brothers is having a party? Is it a birthday party dear?” She smiled towards Victor. Josh had almost eaten haft of his meal as he glances to Lydia, “Lydia Lockheart eat up dear your almost as skinny as your friend.” He said as he watched her just twirling her fork in the meatballs as she was talking with Victor. “Are sorry,” Lydia said to her foster father as she ate some more. Her parents from probably just as push as Hayden was to Vic making shore she ate a lot. If she didn’t know better she’d say they were trying to fatten her up. She laughed it off as she talked some more to Victor, “You better eat some to before they start on you to.” She couldn’t see what he’d eaten but she got the vibe Victor didn’t eat that much on a normal day. She scooped up some on her fork and held it to her mouth eating it, some fell off her fork on her napkin but she didn’t notice. "Superhero, of corse, the one and only Bat man!" Victor said in his most dashing voice he could as if he was pretending there and then that he was a superhero he smiled. Lydia's question cought him off gaurd a little as she asked him if he liked to pretend that he was some one else for the night, he looked at her with a soft and sweet smile, she would know all to well the feeling of wanting to be something or someone else just for a little wile "yeah, I do.. imaginaing your some one else ever for a little wile can be more freeing then some my think" Victor said as he looked at her as if he was agreeing with her on something she had not said yet, she didn't need to say it as he knew she most probably felt the same way as him. “I’d love to come,” Lydia said very happily, she would also love to be able to spend more time with Victor and without her foster mum and dad hovering over her like she was only two years old and omg could break something any minute if she wasn’t careful, “But I don’t have a super hero outfit to wear.” She sighed, “I have a Toph cosplay from avatar that cartoon, have you watched it?” She leant back in her chair thinking, “I also have an Eeyore onezy,” She just assumed he’d heard of Winnie the Pooh, “O and I have one other outfit, it’s a fairy costume.” She said with a smile, “But neither of them as super hero, well classic comic book ones.” She sighed once more. “Would wearing one though be ok?” She asked in an excited voice, “You could help me choose.” She suggested him going to her bedroom to choose one. But her parents would have to help him up stair after their lunch. Josh looked to Margent, “I suppose it’ll be ok if we speak to your father first over the phone.” He looked to Victor as he polished of the rest of his lunch, “Would you like to rang your father son?” he nudged his wife that didn’t seem so happy with Lydia leaving for any period of time as he lent closer to her, “Look how happy she is.” He whispered in Margents ear, “And we want to keep her happy now don’t we.” He said softly to his wife and then turned back to Victor, “I will still need to have a chat with your father.” He waited for Victor response. Margent nodded to Josh as she cleared their empty plates off the table and then returned to stand behind the child, “Eat up, we have a party to get ready for.” She patted Victor on the head gently, “Would you like some more food dear? Need to put some meat on your bones.” She said as her hand went right around his wrist and she give him another pile on his plate even though he hadn’t finished yet. Victor seemed to light up as Lydia seems so happy with that idea, couldn't seem to get the smile off his face as he watched her talking about what to ware, he would care what she wore as anything would be perfect as long as she was the one wearing it "I'm sore any of them would be fine.. we can just say it a superhero in descise or something" Victor said as he winked at he forgetting that she couldn't see that jesters, he pleaded his hand on his head as he realised his stuff up. "Dad, it's all okay, I'm okay" Victor moved the phone away from his head as he waited for ivory to settle down a little as he then added "I'm at a friend house, her dad would like to talk to you" Victor really didn't let his dad answer him before he handed the phone to Josh. Josh took the phone to his ear, “Are yes, Hi there. Am I Lydia’s guardian.” He listened on to Ivory about the party, the brothers, what was going down and that it was a sleep over as well. He paused at that bit, “Hmm I don’t know,” Then he looked to Lydia thrilled face as he sighed, “Alright but shore to call us if Lydia needs us.” He listened more to Ivory, “Thank you for looking after her. We’d be lost without her in our lives.” He said as if she was very important to them both, “No that’s alright,” he said it would be ok if the brothers or Ivory wanted to come pick her up and take her over to the party, “She’ll have her phone with her, if she needs to call us.” He listened some more to Ivory, “Thank Mr. Blackwood, yes, goodbye.” He would do anything to see Lydia smile. He hand the phone back to Victor, “Your families going to come pick you up when they are ready and take Lydia with you to the party.” He turned to Lydia, “it’s an overnight party so if you need anything please call us.” He said somewhat clingy like as if he was worried about losing her. Margent sighed as Lydia had given up on meal as well, “If you two don’t let me fatten you up,” She said in a creepy tone, “How are we meant to have child strew?” She said as she glared at Victor. He took both of their leftovers to the kitchen as she began cleaning up. “My wife,” Josh laughed a little after hearing what she should as she walk off in a little bit of a mood, “What a kidder,” he roses up from the table and moved around to Victor, “I don’t think I can lift your chair all the way up stair son with you in it.” He lent over the boy, “I’ll give you hand though.” He slipped his arm under Victors legs and one supporting his back as he lifted him out of the chair. He didn’t wait for him to agree about this as he was trying him like he was helpless, like they baby Lydia so much, “Lydia we are going upstairs.” He told her since she couldn’t see everything that was going on around her. Lydia nodded as she got up from the table and guided her way to the bottom of the staircase as she heard her foster father say to watch her step, “I’ve got this,” She know her way around her own house more than being anywhere else. She placed her hand on her dads back as he lead the way to her room. She ran her hand long the wooden door as they came to it. All the doors in the house had braille writing on them telling which room she was entering and this one had Lydia’s room written on it. She opened the open as she heard her foster father walk in and then walked out, “Victor?” Her father had put him down on the end of Lydia’s bed. Lydia’s room was filled with a lot of purple, stuffed animals, a single bed, wardrobe, a set of draws and at the end of her bed was a wooden doll house it was very detailed with little furniture inside. She slowly moved over to her cupboard as she felt the clothes inside for the right ones, “Am I pointing to the right ones.” She said to him as he was in a position where he would be able to see everything inside there. She pulled out the fairy dress she could tell it was the right one by the wings, “Closes your eyes,” she said not knowing it he was or not do so as she changed right in front of him down to her flower pattern underwear and bra. She blushed hopping he wasn’t doing anything like taking photos of her with his phone right now. She changed into the beautiful sparkly dress, “Umm... could you please clip the wings onto the back of my dress Victor?” She said holding them out but was still not shore of his location she wasn’t too far from him if he wanted to try and walk it. Victor would notices there seemed to be a lot of sparkly purple dust like sand around her room which was also on her bed where he was sitting. Victor felt bad for not finishing all the food that he was given, it was so nice and the only reason that he didn't eat more was he was full, he was more of a grazer but loved liquid food more, like milkshakes or bubble tea. As Margent took his and Lydia's food he smiled at what she had said hoping that it was a joke. As he knew there were things out there that would eat people and some where really good at hiding until it was to late. Josh would have seen the look of true worry as Victor watched Margent walk away. There wasn't much Victor could do to stop Josh from picking him up as his body was very weak and he most probably would seem like he almost weighed nothing to the man, Victor moved his hand to grab Josh's top as he was carryed up stairs to Lydia's room. He looked around as he smiled, every thing was purple, for some that was not able to see it was all matching but he had guessed that it was Josh and Margent that would have matched everything like that. Sitting on the bed he looked around it was all very cute, he smiled he was in her room alone with her, Victor went all red as he then looked towards Lydia as she spoke "yeah" he said as he looked towards her "a little to the right about two hangers down" he said trying to help derelict her where it was, he watched as she then followed his instructions to where it was. When Lydia said not to look he was just about to ask why when he then noticed that she was starting to strip down "oh" Victor said frantically as he lowered his head to look at the ground as he didn't want to look, well he mite have been a little curious but it was not the right thing for him to do. Not looking back up till Lydia had asked him to help with the wings, his eyes come over her as he then took in her beauty "wow! That.." he couldn't find then words as she had left him speechless but from his tone she would be able to tell it was a good speechless. Victor moved his hand to reach for the wings, it was only at that moment that he relised there was sand over his hand, no wait it was more like sparkly purple dust but the size and texture like sand grains he looked around the room, the stuff was everywhere 'what the' he thought to himself as he then realised that he had kept her waiting only a few seconds as he turned to look back at her "ah, I'm sorry.. but could you come just a little closer please?" Victor asked at he would be able to stand up with her help as he would be able to use her body to pull himself onto his feet, and would be able to stand for a bit. Lydia blushed bright red as he commented on how beautiful she was, he hadn’t side to much but she could hear it in the sound of his voice as she was use to judging people’s expressions by the way their voice sounded to her. She moved closer to him as she followed the direction of his voice as she reached out with her hand to get her bearings. Her hand brushed against her cheek, “Hi,” she said softly announcing she’d find him, “We could probably play the longest game of hide and seek.” She joked with him as she pulled the wings on his lap and turned around in front of him so that he may assist her, “What should I pack?” She was kind of thinking to herself and talking to Vic at the same time. She had a bag on top of the doll house that would be go to pack in, it looked like a school backpack with all different colour flowers over it. If Victor pick it to look inside, he would see a book that had pressed flowers in it, the bag sparkle on the inside as there was purple dust within as well, “What do you think of my room? I hear its very purple.” She smiling, “Though I guess they could be just telling me that,” She said jokingly. Victor almost let out a loud gulp as Lydia started to move closer to him, his eyes where fixed on her as her hand come to rest on his face, he went even more red as she was so close to him. His trance broke as she placed the wings on his lap, oh right he was meant to help her with that "more like a nice slow game of Marco Polo" Victor said with a laugh as he reached his hand up to her after she had turned but he couldn't reach from where he was sitting on the bed "uh... I'm... going to have to hold onto you to stand up" Victor said as he then shifted a little closer to the edge of the bed as he moved his other hand to touch her "okay... I'm getting up now" Victor thought it would be nice for her to know what he was doing as she couldn't see and would have a little extra weight leaning on her all of a sudden. Lydia laugh as he said the marko polo game that was better she thought, “Ok,” she said as she didn’t her best not to move as he grabbed onto her as she didn’t want to knock him over. She felt him put the wings on her as she grabbed his arm gently as she turned around to face he still had his arms around her pretty much hugging at this angle. As she turned she didn’t realise how closes his face was to hers and her lips touch his, she felt his lip ring as they touched. Her face went bright red as she lent her head to the side, “I..I” she was little bit shocked herself as she hadn’t planned that, “I’m sorry,” She stumble a little moving her feet front ward which would have pushed him back but he was still holding her, “What did you made your brother?” She asked him, “Can you see my back pack?” she also add as it would be easier for Victor to grab it and save time. Victor was cought off guard as she turned around and couldn't move fart enough to stop it from happening, as her lips touched with his he was shocked. Lydia smiled as he told her he liked the kiss but she was still a little embarrass anyway, “That’s an amazing present.” She was impressed with his tech skills, “I can’t wait to...” She almost said see it, “I wish I could see it I mean.” She pushed Victor forward letting him sit back on her bed as she run her hand along the door house and grabbed her back pack in hand. She moved to her set of draws as she pulled out some socks, underwear, “I hope these are good colours,” She said as she stuffed them into her bag and then pushed the draw in. She run her hand down the set of draws instill she was leaning over and pulled out the bottom one, “I hope this is good to,” She said holding up a white dress like nighty that had a button up front and the pattern of stars on it. She also stuff it into her bag, along with a hair brush, “I’ll be nice to meet the rest of your family,” She believed she only meet Chris, Hayden just then as Victor had been with Alex’s at the fair. Though the brother may have seen on her on stage with Victor when they sang with the Dark Vengeance band, she couldn’t believe the boy Tyson had just throw her out on the stage like that. She tossed her overnight bag towards the bed she did her best not to hint Victor but she might have. She felt around near her draws she was looking for something, “Where is it?” She said as if talking to herself as she then felt it at the side of her draws. She grabbed her walking stick, she could handle her own home but she be hitting stuff right and center without it elsewhere. Lydia walked over to Victor hold her walking stick in her left hand but she wasn’t really using as she knows how to get around her own room no problem. She sat down beside Victor as she touched his shoulder getting her bearings as she sat down, “I don’t know I’ll be able to get involved in the party games, I guess it depends what they are.” She was saying since she couldn’t see what they were doing, “I’ve got pin the tail on the donkey covered,” She said jokingly, “What sort of games might your brother play at this party? O how old is your brother and his friend turning?” She moved her empty hand to rest on Victors arm, “Did you want to me to call my foster father to help you back down stairs?” She lent her stick against the bed as she run her hand over the covering where she felt the purple dust there was more on the bed than anywhere else in the room, “Victor would you still be mine friend if you could walk?” She asked him, she use to everyone treating her nicely because of her condition, but if they never really wanted to stay with her for the long hall. She played with the purple dust in his hands as she waited for his true full response. Victor smiled as he watched her walk, it wasn't hard to forget that she was blind as she moved around her room so easily. Victor then looked at Lydia as she mentioned that she mite not be able to play all the games, they mostly would make games they all could play so they would try to find something for her to do that would make her not feel so left out "oh yes, you will win that hands down" he said as he chucked "I've got musical chairs down" he said as he laughed. "Hmmm... Simon says... you can tell them what to do, and I can tell you how silly they all look" he said as he laughed and then moved his hand to rest on her leg. “Sorry to ask you that,” Lydia said softly feeling bad about it, “I shouldn’t of ask you that,” She stood up again in front of him, “Victor where do you think will be in a few years,” She held her hands behind her back looking as adorable as ever, “Do you have plans for your future?” She just trying to learn more about him after all this was the only the second time they had meet. She walked over to the doll house as she placed her hand on top of it as she leant down in front of it and opened up the doors, “What are your dreams Vic?” She wasn’t shore it if he minded her calling him just Vic. She reached into the doll house as if she was looking for something, she knocked over some of the furniture looking for it. She pulled out a little satchel it was it colourful with flower patterns on it and it looked it had been hand knitted. She went to slip it in her jean pocket when she remembers she was wearing a dress, “O right dresses have no pockets, someone should fix that design flaw.” She turn tugging it down her top into her bra instead. She suddenly felt a little dizzy as she sat down in front of the doll house. She made a point of locking the doll house before she lent against it. "Lydia!" Victor moved forward as she looked like she was going to fall over, he moved to lower himself down to the ground and use his arms to go cover to her "Lydia... are you okay?" He asked in a worried tone. Ivory started then car to drive to get Victor and Lydia with a worried look when Trigg said that he had made a cake, it honestly be a cake made of mud if Trigg was the one that had done it, he suddered at the thought of it "you made a cake" Ivory could see that he was so proud of himself for doing it. Ivory drove for a wile as he then pulled safely into the driveway of Lydia's house "wait in he car... I'll just get Victor and his new girl friend" he smiled as he turned off the car and took the keys. Lydia rubbed her arm as she heard him getting closer to her, “That’s a nice dream, it would be nice to have kids one day.” Though for a moment she pictured her and Victor in her mind, wondering how they would look after their child. With her being blind and him being in his wheel chair. She known what was wrong with she’d been *spoiler* for too long, he arms felt tingly sort like pins and needles, “Its ok Victor,” She said trying to calm him as her sudden fall had been a shock to him. Before he could reach for she dashed off to the bathroom locking herself in as she did some *spoiler stuff* She lent her back against the wooden door. Sometime past at least 30mins. She hit her head on the door in frustration, “He probably think I am a freak.” She stood up and locked the door back just stood there for a minute with her back to the door. Trigg moaned, “Why do I have to wait in the car?” he asked as he saw Ivory left. Then a cheeky smirk come across his face as he leapt into the driver sit as he was playing around with some of the button and he hooked the horn, “Victor has a mate?” he said to himself, as he lent back in Ivory’s chair as he chuckles, ‘Someone new to play with,’ he smirked as he thought that. Josh and Margent both answer the door saying to Hi to Ivory as they invited him in, “Come in, they up in Lydia’s room.” He started leading them up there.